Questions or Issues? We’ve got Answers! Currently, Cibo Meals is offering delivery in North West Denver (Highlands, Sunnyside, Berkeley, and Sloan’s Lake), Edgewater, Wheat Ridge, Applewood, Arvada, Westminster & North Lakewood neighborhoods. How does the Cibo Meals ordering process work? Thursday – We send out an email with two new meal options for the upcoming week, as well as posting them to our website, www.cibomeals.com. You can place your order any time after the new meal options are released, and you can order as many jars as often as you want. Sundays – You will receive a reminder-to-order email so you don’t miss out on a great week of creative, ready-to-eat meals! Mondays – Please order and pay online by 10:00 a.m. so we can shop for your ingredients fresh that day and be ready to cook up your order. Tuesday between 3:00-6:30 p.m. – We deliver right to your doorstep (home or business). Your meals are prepared, cooked, and jarred fresh at Rocky Mountain Commissary in Arvada, CO earlier that day. The next time you order from Cibo Meals, just leave your rinsed jars in a bag where we can grab them when we make your new delivery…easy, right? Dishes are prepared vegetarian and protein recommendations are always included in case you want to add this to your meal yourself! 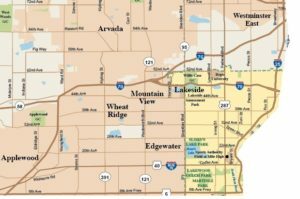 Currently offering delivery in North West Denver, Edgewater, Wheat Ridge, and Applewood & Arvada Neighborhoods. What if I’m not home for my Cibo Meals delivery? You do not have to be home for delivery. If this is your first order, you will receive our green cooler bag for free with your order. Upon your future orders, we just ask that you leave out your green cooler bag with your rinsed out jars inside, and we will swap everything out with your new order! We also ask that you return the plastic ice packs (if included with delivery) inside your cooler bag. Do you accommodate dietary preferences or restrictions? We offer two vegetarian options every week, and often one of these options is also gluten free, which will be noted on the meal option. We can also usually make your meal dairy-free if indicated it the Comments section of the order form when ordering. If you have additional dietary restrictions, please note these in the Comments section as well and we will try to accommodate you. We will let you know if we cannot accommodate your needs prior to preparing your order. Please note that we cook your meals in a shared kitchen space where gluten, nuts, and other food allergens may be present. How long will my Cibo Meals last after delivery? Since we use reusable Mason jars for our meals, which are known for their canning and pickling usefulness, most of our dishes should stay fresh for up to 2-3 days after delivery, if refrigerated withing a few hours of delivery. However, this does depend on the ingredients used and if the lid is opened and closed multiple times. Make sure to keep your jars refrigerated as soon as possible after delivery, and do not open and close it more than you need to, this will help to maintain the meal’s freshness. Some meals will freeze better than others. Look for the freezer icon when placing your order if you intend to freeze something. To freeze our food, you will need to refrigerate the jar for at least 8 hours first to allow it to fully cool, then put it into the freezer. To reheat from frozen, leave the frozen jar out for at least 12 hours, or leave in your refrigerator for 24 hours. (This can take a while, so please plan accordingly). I bought an 8-Pack Package, 10-Pack Package or Gift Certificate. What happens next? Store Credit for the amount purchased will be added to your account and a specific coupon code will be emailed to you. Please check your email for this code or login to your account and click Coupons on the left-hand side of your screen. For Packages only – Enjoy any meal options within the size package you bought (Regular or Piccolo) within 90 days of purchase. For Gift Certificates, you can purchase any amount you would like. During checkout, you will be asked “Send coupons to me” or “Gift coupons to someone else”. You will be able to enter the desired recipients email and message to them if you select the “Gift” option. Again, a specific coupon code will be generated for use when ordering. To use your store credit, please login to your account then place your order. You will see a bright green box with your specific coupon code when checking out. Click on this to apply your store credit until it runs out. You can purchase as many packages as many times as you want, each new package will have a new coupon code. Cannot be combined with any other coupon codes or discounts offered. Please contact us at info@CiboMeals.com or call/text 720.530.3140 with any questions/issues. I have other questions. How can I get an answer? Email is the best way to get in touch with us. Please email any general inquiries to info@cibomeals.com. For anything specifically food-related, email Emily, the Owner of Cibo Meals, at emily@cibomeals.com.